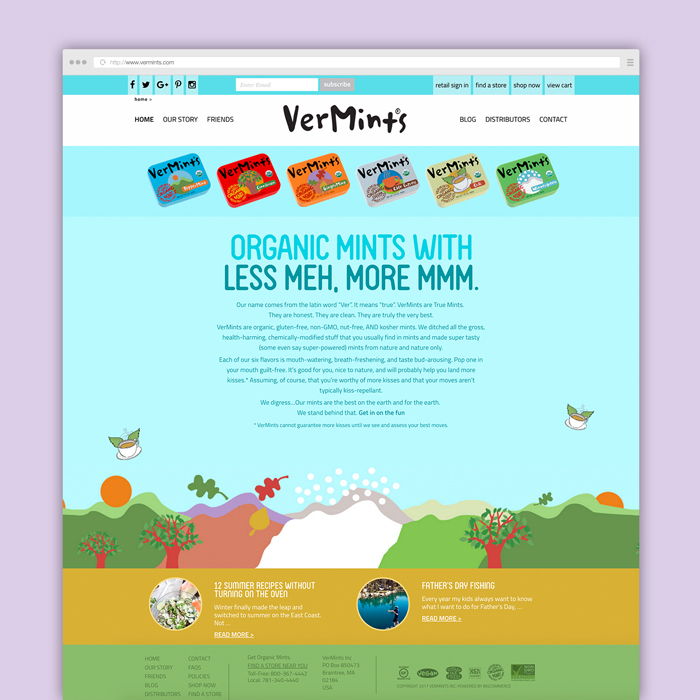 VerMints is a US-based vegan, gluten-free, sugar-free, non-GMO mint and pastilles company with all sorts of personality. When we connected in 2014, their product was hot; their marketing was not. They had an archaic website and a mishmash of messaging across digital platforms. There was no consumer engagement for a brand with a consumer-centric brand. They asked us to breathe some fresh minty life into their brand elements so the cohesive experience would look, feel, read, and taste like the bold, brazen, delicious brand that it is. Before putting pen to paper and market to whiteboard, we created a personality for the brand that matched its produce and resonated with its target. Cheeky, full of life, educated, and kind, the VerMints voice permeated all media. Using the existing brand elements and new brand voice, we designed and developed a colourful, pragmatic, engaging, easy-to-customize eCommerce site to accommodate two key targets: wholesalers/distributors and consumers. 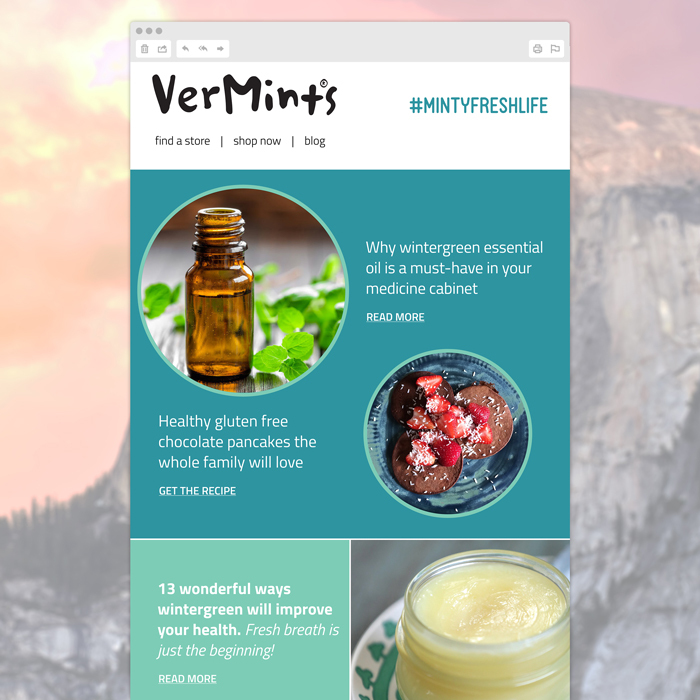 To help consumers get to know the brand and the Minty Fresh Life it was promoting, we created a series of 15-second animations to tell the story of VerMints and its ability to connect people through various flavours. Each featured a moment, a wink, a helping hand, a connection where something positive evolved. 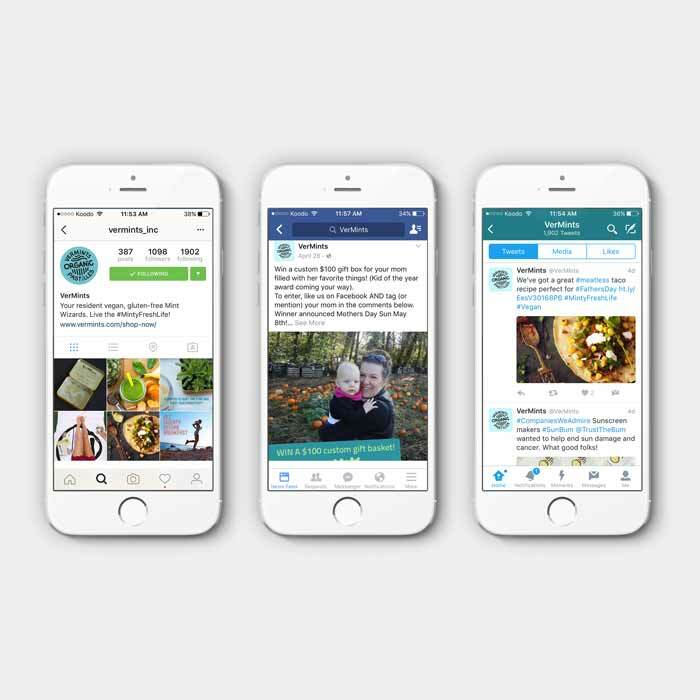 We launched them on Instagram and Facebook. VerMints was not engaging meaningfully or consistently with its audience when we met. So we jumped in with gusto; authored blogs and daily content on Facebook, Instagram, Pinterest, and Twitter. We engaged. We commented. We liked. We posted. And organically channel engagement grew while website visits and email list signups increased. 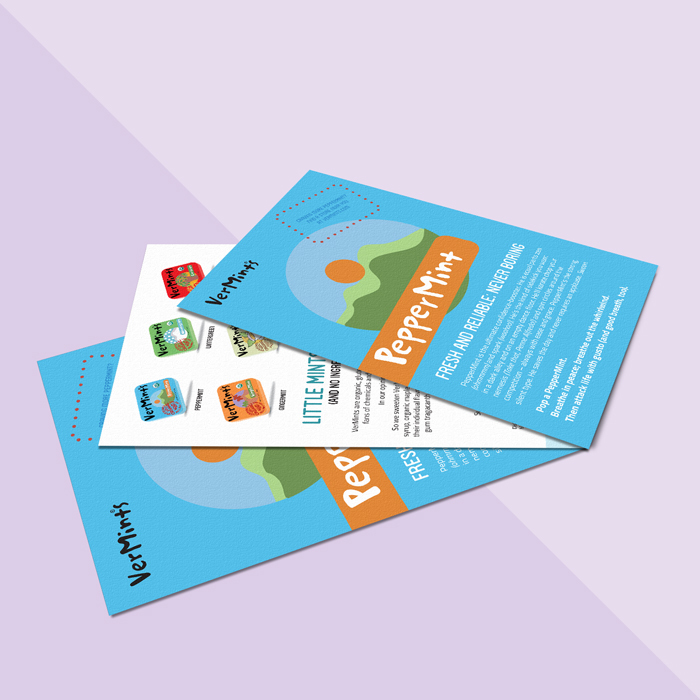 Customized each quarter to match a pre-identified campaign theme, we wrote, designed, and pushed out email content to subscribers. For the first time in VerMints history, this was branded, intentional, and moving traffic to the site.